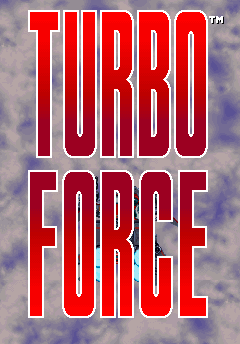 Place in your ROMS folder: turbofrc (parent ROM). «2003» Loop 3-2 1.659.400 – Player : 音楽が死ぬほど素敵。まつお兄チャマ from Miyagi (Tōhoku). Vai, Valter!! Eu tô torcendo por vc, irmão. Arrebenta aí! fwiw, Midas and Jinx played with easier than default settings anyway (the difficulty setting was unknown at the time, and after Flip Screen -> ALL OFF == easiest difficulty). They both needs zeroing imho. No, I'm saying that default settings were a lot easier back then, since they were effectively playing with difficulty level-1 (and we are currently playing with level-4). Sincerely, I just started to play 1h15 is my current timecounter (watch + play). But I discovered that START pauses the game! At least in w99 and w106, but not in w139. If it's a original feature of the arcade game or not, I suspect it's not allowed by MARP and for K8. Please confirm. Good game for you guys! bombs are pretty much fussy in this game, I've got lots of glitches on this game due of "unexpected bomb triggering" ... for instance you could effectively kill an enemy but that enemy then still shoots at you and then becomes ... undestroyable. 0.72u2: Added dipswitches 'Difficulty' and 'Bonus Life'. Then default diff was fixed to "4" (normal), like with wolf106. But pre-72u2 inputs should have been made with lower difficulty, that could explain the 1M score for Jinx. How to be sure ? what is different with various diffs ? And if it's confirmed, what to do with pre-72u2 inputs ? what was the diff for the 1.6M WR ? any info ? With pre-72u2 versions, all is turned on OFF (see screenshot below). You can check easily with a recent version that this means : diff = 1 (easiest) !